I'm sorry for not keeping up with my blog very well. Life just gets in the way sometimes. I have been busy scrapbooking - I just can't share most of it right now. :( Been working on samples & other projects. So I'll have to wait to share those until a later time. But for now I can share with you a peek of a kids class that I'll be teaching in a few weeks time. 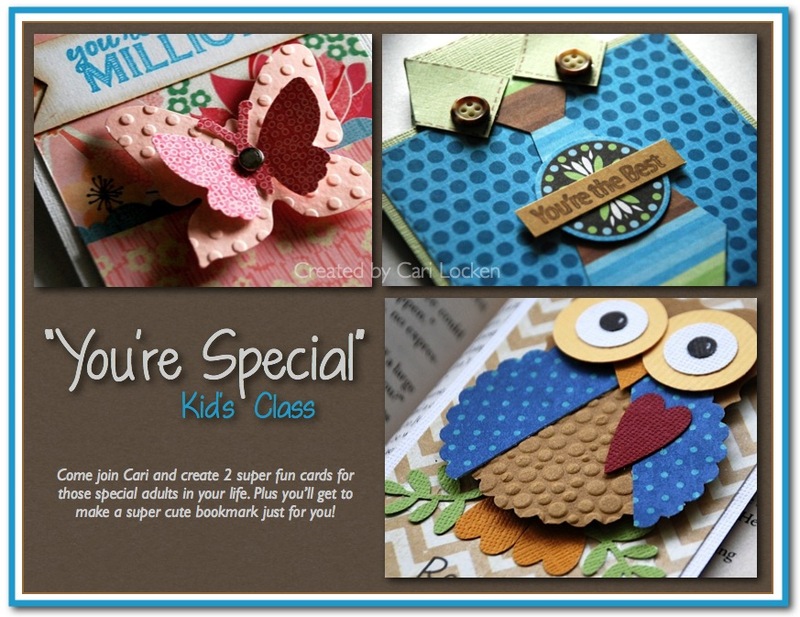 The kids will be making some cards for Mother's Day and Father's Day plus they'll get to create a bookmark just for themselves! I also wanted to catch up with some of you & keep you updated on my health. As many of my blog followers will know ... I had a heart attack June 2011. It still feels so strange to say that but I did. I had no health issues at all at the time and the doctor says he still can't believe that it happened to me - it was just a flukey thing. However, over the past few weeks I've had check-ups and various tests done to see how my heart is doing and everything is awesome! I'm super duper good. I was a bit worried at how the reports would come back because felt like I had a crappy winter of lack of exercise and not eating the greatest. I was feeling rather down about myself. But I've gotten myself back into an awesome exercise routine and I'm feeling great. I'm actually looking forward to going running every morning. And that's a good feeling (maybe not so much when I'm running but definitely afterwards!). Gotta keep my ticker healthly ... for me & my family! Loving the sneaks from your class! Glad you are doing so well now! wHAT FUN, Love all the texture, my kids love to play with the cuttle bug, marvelous!! Way to go Cari glad you had great news. 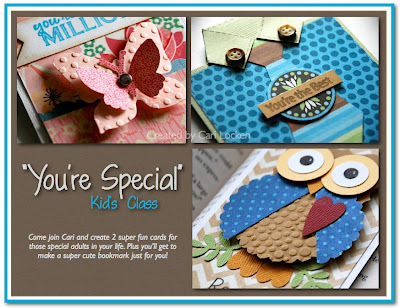 Looking forward to seeing more of your creations were are you doing classes right now.